Razavi Khorasan Province (Persian: استان خراسان رضوی‎‎, Ostâne Xorâsâne Razavi) is a province located in northeastern Iran. Mashhad is the center and capital of the province. Other cities and counties are Quchan, Dargaz, Chenaran, Sarakhs, Fariman, Torbat-e Heydarieh, Torbat-e Jam, Taybad, Khaf, Roshtkhar, Kashmar, Bardaskan, Nishapur, Sabzevar, Gonabad, Kalat, Khalilabad and Mahvelat. 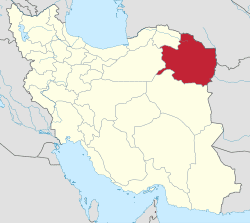 Razavi Khorasan is one of the three provinces that were created after the division of Khorasan Province in 2004. In 2014 it was placed in Region 5 with Mashhad as the location of the region's secretariat. The Greater Khorasan has witnessed the rise and fall of many dynasties and governments in its territory throughout history. Various tribes of the Arabs, Turks, Kurds, Turkemen and Mongols brought changes to the region time and time again. Ancient geographers of Iran divided Iran ("Ēranshahr") into eight segments of which the most flourishing and largest was the territory of Greater Khorasan. Esfarayen, among other cities of the province, was one of the focal points for residence of the Aryan tribes after entering Iran. The Parthian empire was based near Merv in Khorasan for many years. During the Sassanid dynasty the province was governed by a Spahbod (Lieutenant General) called "Padgošban" and four margraves, each commander of one of the four parts of the province. Khorasan was divided into four parts during the Muslim conquest of Persia, each section being named after the four largest cities, Nishapur, Merv, Herat, and Balkh. In the year 651, the army of Islamic Arabs invaded Khorasan. The territory remained in the hands of the Abbasid clan until 820, followed by the rule of the Iranian Taherid clan in the year 896 and the Samanid dynasty in 900. Mahmud of Ghazni conquered Khorasan in 994, and Tuğrul in the year 1037. In 1507, Khorasan was occupied by Uzbek tribes. After the death of Nader Shah in 1747, it was occupied by the Afghan Durrani Empire centered in Qandahar. 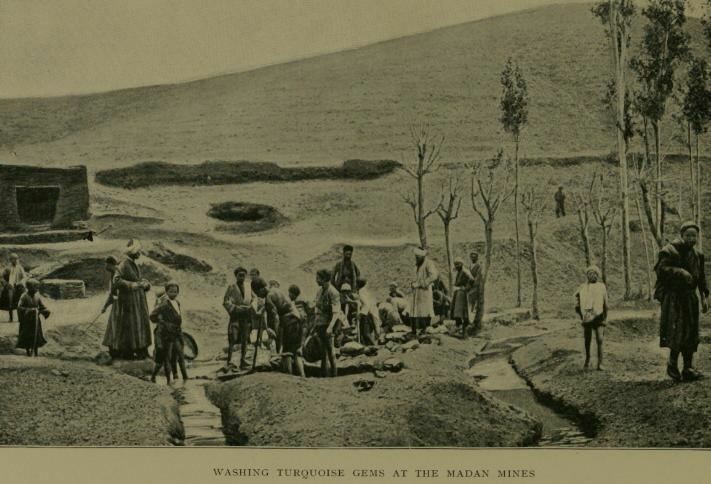 During the Qajar period, Britain supported the Afghans to protect their East India Company. Herat was thus separated from Persia, and Nasser-al-Din Shah was unable to defeat the British to take back Herat. Finally, the Paris Treaty was concluded in 1903 and Iran was compelled not to challenge the British for Herat and other parts of what is today Afghanistan. Finally Khorasan was divided into two parts: the eastern part, which was the most densely populated region came under British occupation, and the other western section remained part of Iran. Khorasan was the largest province of Iran until it was divided into three provinces on September 29, 2004. 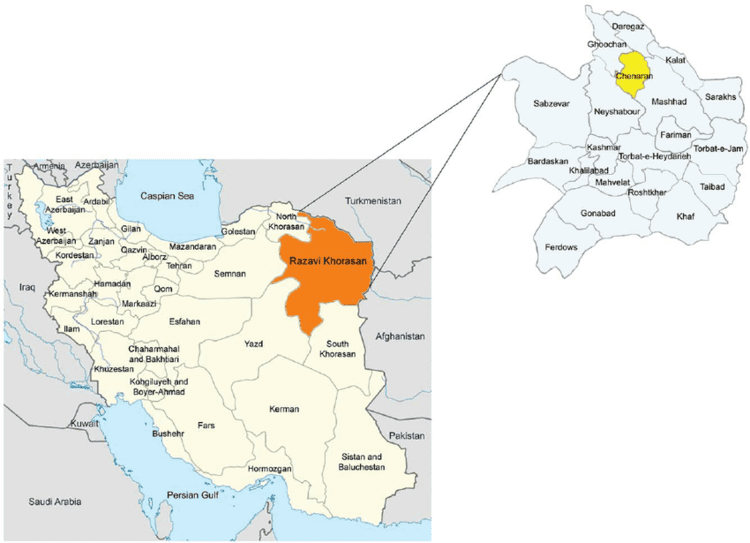 The provinces approved by the parliament of Iran (on May 18, 2004) and the Council of Guardians (on May 29, 2004) were Razavi Khorasan, North Khorasan, and South Khorasan. Excavations conducted by an American team between 1935 and 1940 in Nishapur discovered museum-worthy objects, which were shared with the government of the Shah. The Metropolitan Museum of Art's publications document its own Nishapur ceramics from those excavations. For half a century after 1945 the site of Nishapur was ransacked to feed the international market demand for early Islamic works of art. Nowadays, the Kohandezh hills reveal the remains from those excavations. Shadiyakh was an important palace in old Nishapur up to the 7th century, and became more important and populated after that. The palace was completely ruined in the 13th century. It was the home of notables such as Farid al-Din Attar, whose tomb is found in Shadiyakh. The major ethnic group in this region are Persians, there are other sizeable communities such as Kurds, Khorasani Turks and Turkmens. There is also an Afghan community in the province due to the influx of Afghan refugees coming from Afghanistan in recent years. This province envelopes many historical and natural attractions, such as mineral water springs, small lakes, recreational areas, caves and protected regions, and various hiking areas. Besides these, Khorasan encompasses numerous religious buildings and places of pilgrimage, including the shrine of Imam Reza, Goharshad mosque and many other mausoleums and Imamzadehs which attract visitors to this province. The Cultural Heritage of Iran lists 1179 sites of historical and cultural significance in all three provinces of Khorasan. 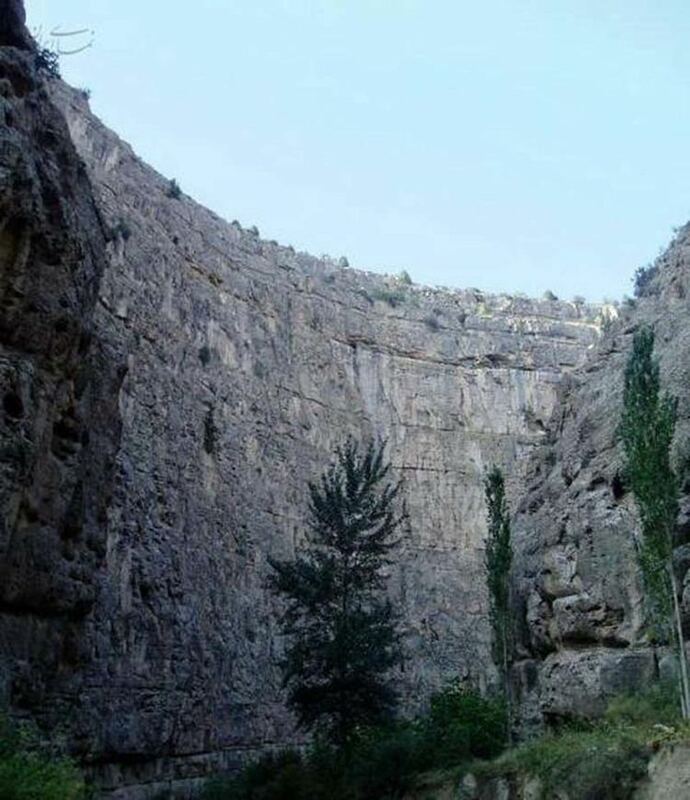 Zari, Hendelabad, Mozdooran, Moghan and Kardeh caves.